The 22 Minute Hard Corps nutrition plan is going to look very familiar to those who have done any of Beachbody’s workout programs, post 21 day fix. 21 day fix pretty much revolutionized the way people thought about portions, and as a result they are getting better results! What I hate now though is that every time I eat, all I can see in my head is how many colors of each container my food would fit in, lol. Its like a mental color coded tetris game, lol. But the 22 Minute Hard Corps meal plan is super simple. I will walk you through it step-by-step and then at the end, I will show you a couple vids: One of which will help you when you go shopping at the grocery store for your 22MHC food! 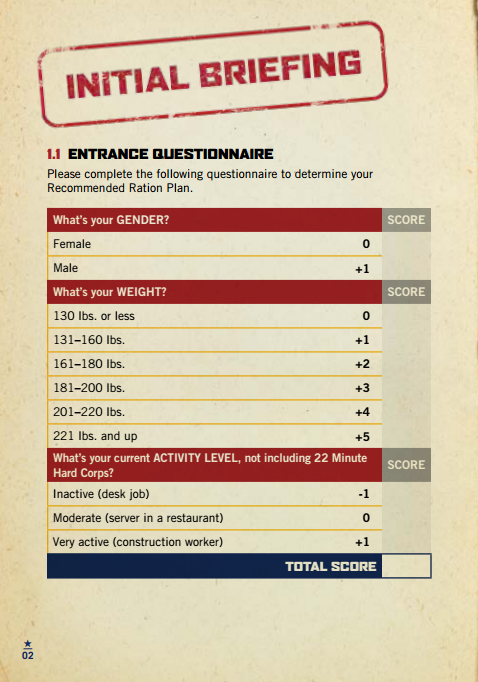 Complete the questionnaire and tally up your score to move on to Step-2. I know this one is going to get a lot of questions, so I will just address it now…A lot of people who I have coached successfully through Tony Horton’s programs, like P90X or P90X3 have started out their journey weighing in at over 200lbs. When a person who weighs that much starts eating at a plan that requires them to be at 2400 calories or more per day…that can be tough! The reason its tough for many overweight folks to eat the much is not because their not used to eating that many calories (obviously), but its because clean food is not calorie dense, its nutrient dense; therefore there is more VOLUME in the amount of food they’re taking in. Thats what takes some getting used to. As your body’s metabolism increases, it will become easier and easier to cram in that many calories, but until then; whats a reasonable calorie intake that will help you lose weight without sacrificing any muscle loss by dropping down to low? As a general rule for men, I and many others recommend that men do not drop below 1700 calories per day. For women, any less that 1200 is dangerous when doing an intense workout program. 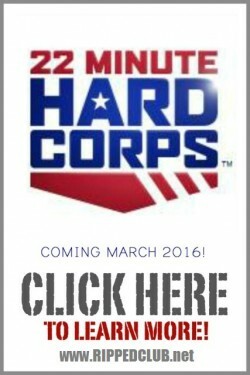 what you’ll notice about the 22 Minute Hard Corps nutrition plan is that the calorie ranges are not extreme. In fact, I recommend that you follow the guidelines below to the T! If you need to drop down your intake because you’re too full all the time; drop down one plan and see how that works for you. 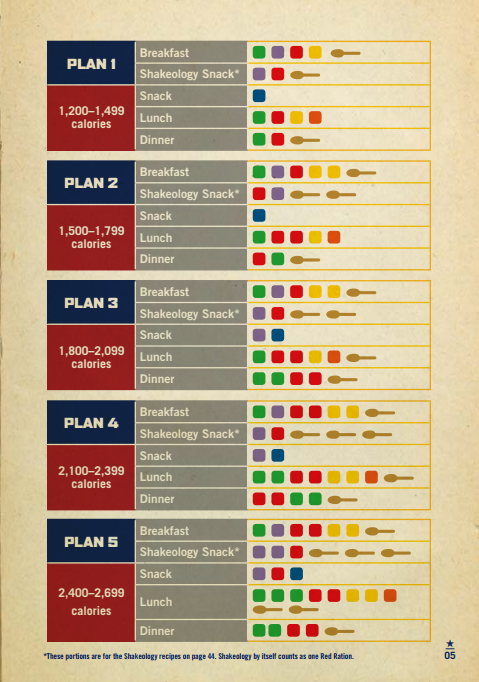 Below, you’ll see that your Plan has been broken down into 3 meals and 2 snacks. 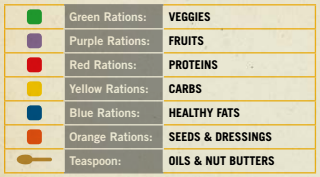 Each meal contains a series of rations that correspond with your Food Lists (you can see the food lists in your 22 Minute Hard Corp nutrition guide). To maximize efficiency of the Nutrition Field Guide, fill each meal with these foods. However, it is not mandatory that you structure your day in exactly this way. Feel free to shift the rations within the day. For example, if you would like to have a piece of fruit for dessert in the evening, you may relocate a breakfast purple to dinner. As long as you eat the required amounts from your assigned food groups, you will see awesome results. The situation may arrive where your calorie level no longer suits your needs. As fitness levels increase, this is a common occurrence. Here are some indications that this may be the case. 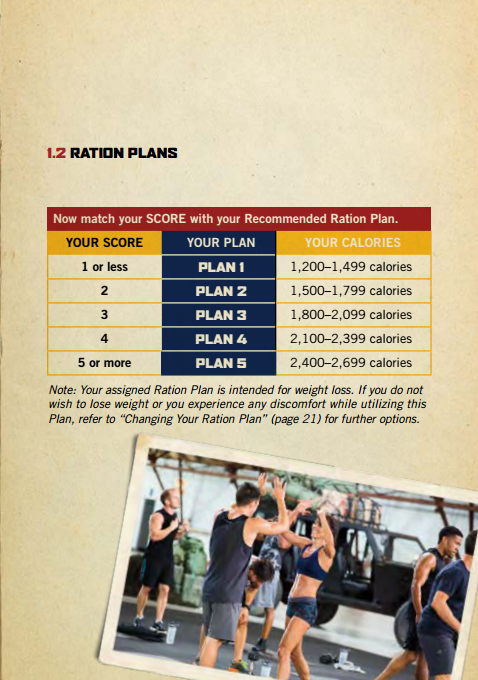 The most likely solution is to increase calories by bumping up to the next Ration Plan. The reason for this is twofold. First, as fitness increases, the metabolism also increases. Added calories may be needed to fuel performance. Second, when the body is fed insufficient calories in a stress setting (during a demanding exercise program, for example), the metabolism may slow down to preserve energy, resulting in decreased performance and slowed results. 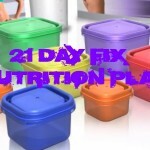 You can also check out my video on “Why Im Not Losing Weight With 21 Day Fix” which covers some additional reasons why you might not be seeing the results you want. 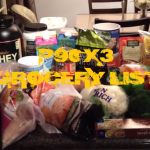 What To Buy At the Store for the 22MHC Meal Plan? 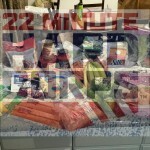 So what do I think of the 22 Minute Hard Corps nutrition guide? 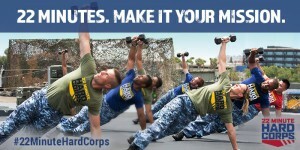 I think Beachbody and Tony Horton have once again put out a product that people are going to enjoy and see phenomenal results from. 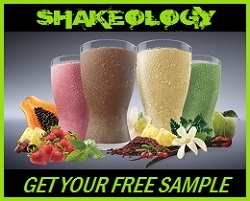 If you stick to the workout schedule and the nutrition plan, then you’re going to do amazing! But if you fail to plan…then plan on failing!